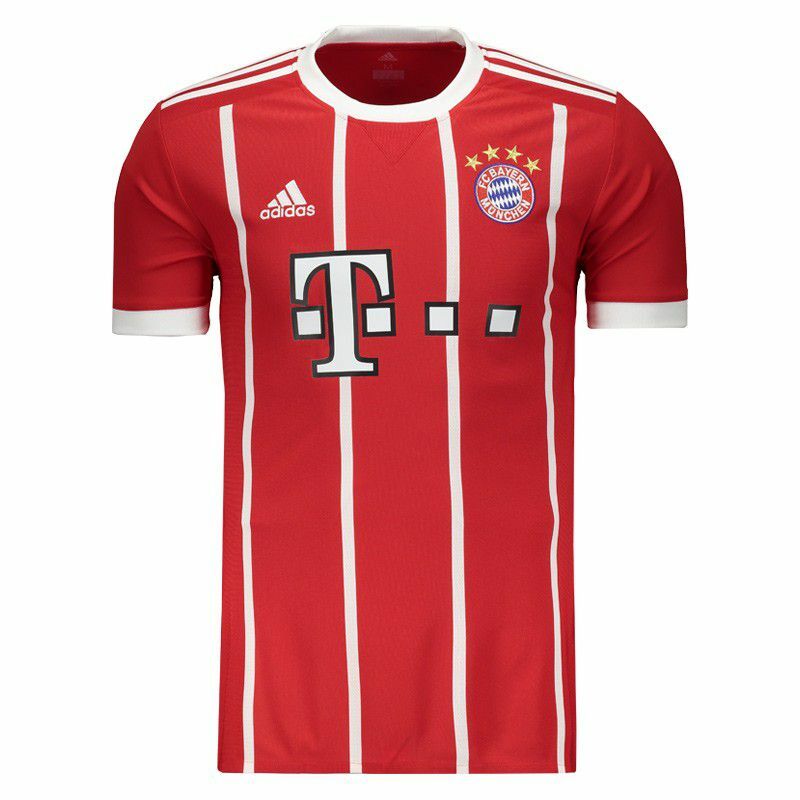 Produced by Adidas, the Bayern home shirt for 2018 is ideal for fans and admirers of the club to use in games and day to day. The piece is made of lightweight and resistant polyester and features Climacool® More info. 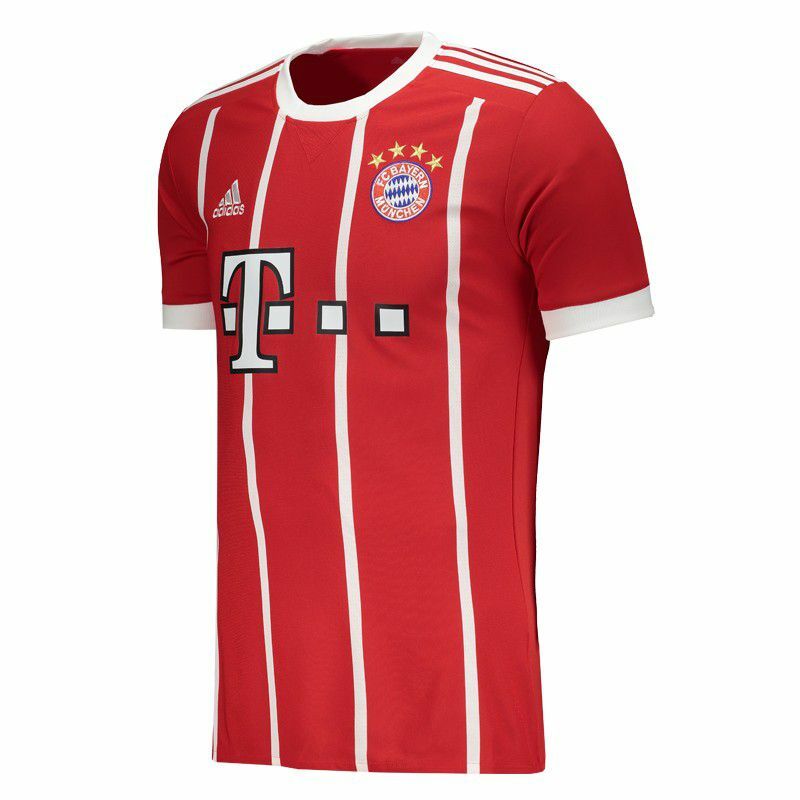 Produced by Adidas, the Bayern home shirt for 2018 is ideal for fans and admirers of the club to use in games and day to day. The piece is made of lightweight and resistant polyester and features Climacool® technology, which manages the ventilation and humidity of your body, providing comfort and excellent performances. 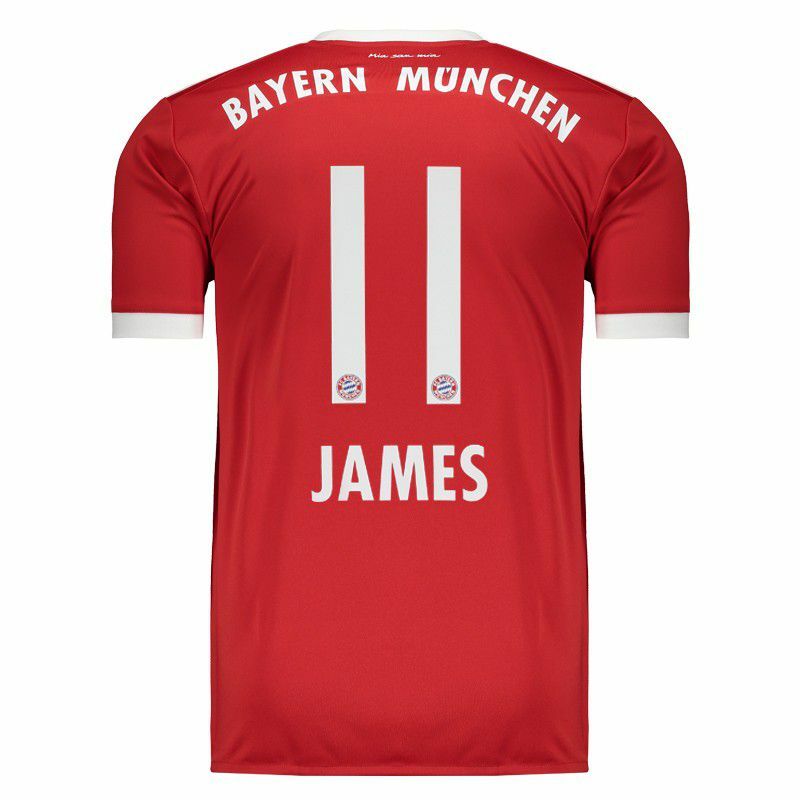 The piece is inspired by a model used in the season 1973-1974, in which the German club was European champion. Its design presents the predominant red color, there is still in the frontal region, thin vertical stripes in white. Same color is seen in the superimposed fabric of the sleeves and the collar, which in turn is crew. In addition, the team's badge is embroidered on the left side of the chest, as traditional, on the opposite side, the Adidas logo. 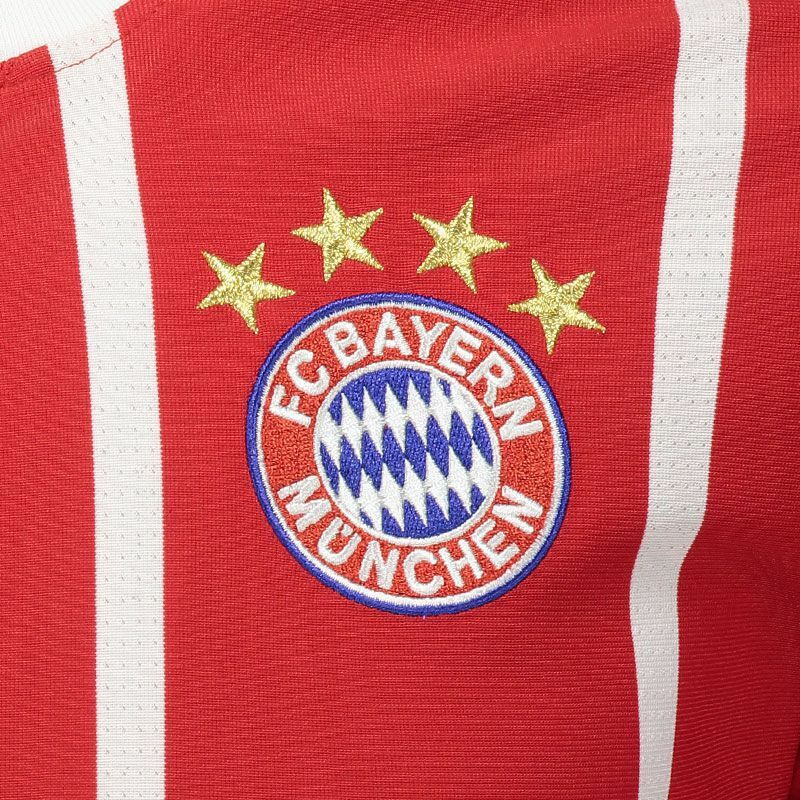 In the back, the club motto "Mia San Mia" is seen printed below the nape of the neck as well as the full-sized club name. Finally, the sponsor gains prominence in the frontal region, complementing the details of the piece. Goals, assists, speed and talent. All these qualities meet in the figure of James David Rodriguez Rubio. Golden Boot at the World Cup in Brazil, he is a spectacular player. Still young, but already with experience, fruit of his passage through the Argentinian, Portuguese and French Leagues. It is a medium-offensive that can be used in both wings as the center, endowed with a superior vision of game.